If the snappy phrase “chatter & natter table” sounds at all familiar to you, then you’re undoubted not alone there. It refers to a type of concept that essentially involves isolation and the human condition. Friendship is a big thing for people. Human beings naturally thrive on interaction and being around other individuals. Feelings of isolation and alienation can be extremely difficult for people to cope with in modern society. Chatter & Natter tables, however, are looking to solve that issue for good. These tables, in short, are located within standard cafés and coffee shops everywhere. They’re set aside for guests who are all by themselves and who are craving conversation with others. 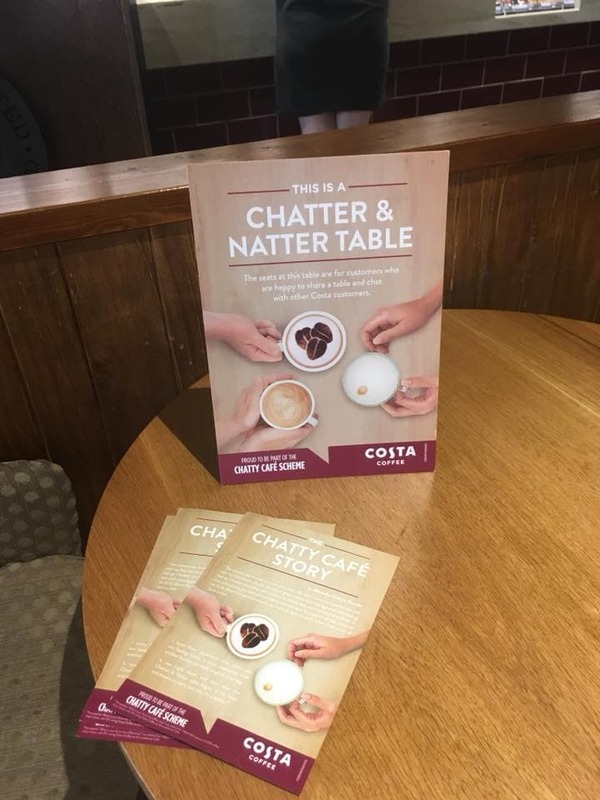 Costa made the decision in 2018 to integrate chatter & natter tables at designated shops. There has been research that has connected isolation to dying early. People who are lonely and who don’t get the chance to be around others may experience seriously negative consequences. Chatter & natter tables aim to combat all of the potential dangers of loneliness in contemporary society. These tables are now fixtures at many United Kingdom establishments. Alexandra Hoskyn is a thirty-something parent who is behind the entire concept. What exactly gave her the idea to bring chatter & natter tables into the public consciousness? It’s the fact that she developed a case of postpartum isolation. The concept draws others in with the assistance of noticeable signage. These displays are on the surfaces of tables. Tables tend to be accessible for certain stretches of time throughout the course of the day. They’re often accessible to users between the hours of 9:00 in the morning and 6:00 in the evening. People are generally permitted to occupy these tables regardless of their specific age groups and have a natter with the occupants. People who run and who work for coffee shops need to do what they can to keep their customers interested and coming back this includes integrating within the community in which they operate. Loneliness is nothing new in this world. It’s a topic that’s been gaining a lot more steam within the public eye throughout the last few years, however. That’s the reason that setting up chatter & natter tables for coffee shop guests can be a terrific and promising idea. It’s a fresh and innovative idea that’s truly indicative of the times. It can help people who are lonely connect with like minded individuals who are near them. It can give people the rare opportunity to encounter others they most likely never would have found out about otherwise. If a guest at a café is in the mood to talk about her day to a stranger who is kindhearted and nonjudgmental, then a chatter & natter table can serve as an incredible foundation. Contemporary existence is fast-paced and hectic. People are busy with their careers, jobs, educations, social lives and more. That’s why they’re rarely able to take a minute or two to stop and smell the roses. They’re seldom able to truly look at the others who are in front of them in their lives as well. The thought of going up to a total stranger and asking him or her to talk about aspirations, hobbies and concerns may seem totally unfamiliar and bizarre to the majority of individuals nowadays. People are often trained to question others who come up to them randomly as well. Thankfully, chatter & natter tables take the stigma out of communication with brand new faces. They provide individuals with safe, supportive and bright settings to meet others.